As vice president of preconstruction services, Peter Muench leads the LeChase team responsible for managing, developing, maintaining and overseeing all functions of assigned projects at the preconstruction phase. This includes addressing safety, construction planning and cost-control procedures as well as implementing Historical Cost Advisor – a tool to provide clients with meaningful estimates, based on historical cost and project data, early in the design. Peter started his construction career in 2000 and joined LeChase in 2005, progressing through roles in estimating, engineering, procurement and preconstruction. 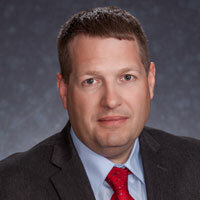 He was named director of preconstruction services in 2015, and appointed a vice president in early 2018. Peter earned a B.S. in civil engineering technology from the Rochester Institute of Technology, and actively participates in several industry and community-focused groups.